Germany is known as a progressive-minded country in history and culture. Stretching as far back thousands of years ago, Germany’s culture has shaped the country to what it is today. Even with the mixture of paganism and Christianity, German traditions are still celebrated by the people. Turkish comprised the largest part of the population while only 9 percent belong to foreign residence. Refugees would later come from the East Europe and a number of immigrants from Italy, Greece and Spain. Despite the fusion of different group of the country populaces, German language is still the medium of communication. 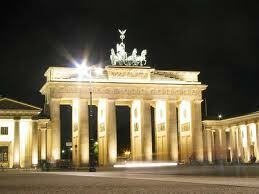 As a country, Germany has a lot of sites and wonderful tourists’ attractions to visit. 1. Neuschwanstein, Bavaria. Neuschwanstein Castle in southwest Bavaria is the world’s famous castle located at the peak of the Alps. The castle is being use as the hallmarks of Walt Disney as its inspiration of making the cartoon movie the Disneyland’s Sleeping Beauty. It was designed by King Ludwig II of Bavaria as his dream castle in commemoration to the great Richard Wagner. Visitors are most welcome to take a tour to the majestic castle. The allotted time to visit is 9:00 a.m. – 6:00 p.m. in the month of April to September and 10:00a.m.- 4:00 p.m. from October to March. Visitors can view the lavish interior of the palace for not more that 30 minutes. 2. Cathedral of Cologne. The third world’s tallest cathedral and one of the most historical and essential monuments of Germany. It was hit seventy times by an aerial bomb during World War II. Its gothic masterpieces constructions was finished after 600 years but the original plan since 1248 is still the same in 1880, the time of its completion. 3. Brandenburg Gate in Berlin. Another attraction Berlin Germany is proud of is the Brandenburg Gate, known as the symbol of peace in Germany since it was built in the year 1791. Its crowned figure at the center symbolizes the goddess of victory riding in a chariot. 4. The Black Forest. Germany is blessed with rolling terrains full of lush forests. Its land area of 4,600 square miles is marked with hills, valleys and the famous Black Forest settled in the boundary of east and west Germany- Schwarzwald. It spans from the exclusive Baden-Baden spa town of Baden Württemberg to the Swiss edge. 5. Berlin City, Germany. It is the 3rd most famous and attractive place in Europe. With more than 170 art galleries and museums, quality restaurants, clubs and bars that are mostly open 24 hours a day, your stay can be quite an overwhelming experience. If you want to have a tour of Berlin, you can bike your way to the magnificent views of the city. With its friendly and moderate seasonal climate influenced by the North Atlantic Drift or the Gulf stream’s northern winged, Germany is a perfect place to make a long vacation travel. It experience precipitations the whole year round. Summer seasons are slightly cold with the temperature of 30C or 86F and its winter seasons are milder which makes visitors want to stay longer in the place for more comfort and enjoyment during the festive times of Germany’s winter seasons.